Perfect for your Valentine! 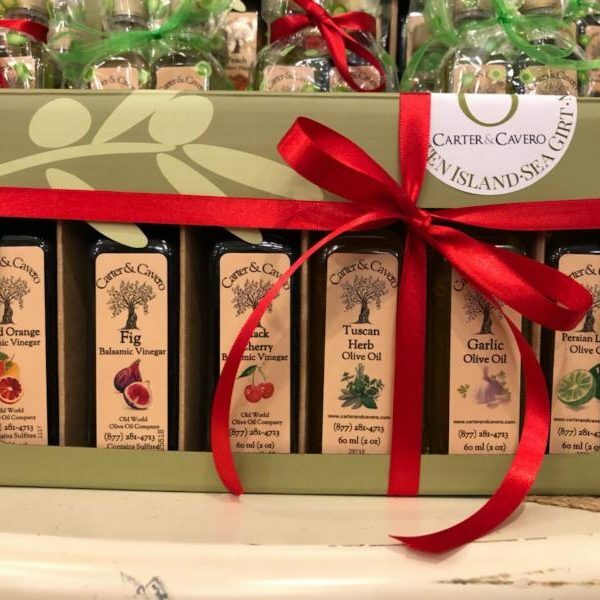 All the flavors necessary for delicious vinaigrettes for your special someone to enjoy…..
We recommend the following pairings: Blood Orange Oil/Chocolate Balsamic; Basil Oil/Strawberry Balsamic; and Meyer Lemon Oil and Raspberry Balsamic. Drizzle any of the balsamics on your favorite ice cream or yogurt. Our chocolate balsamic is delicious on strawberries! This Sweetheart Sampler includes a 60ml bottle each of our Basil Oil, Blood Orange Oil, Meyer Lemon Oil, Chocolate Balsamic, Strawberry Balsamic, Raspberry Balsamic. Note: Photo shown is of a different sampler with different varieties.